What time is it? Where is North? How high am I? What’s the weather going to be? That are questions whose answers matter when outdoors. Being aware of the time and when the sun will set, not being surprised by sudden storms in the mountains, having a compass and knowing the current height when checking a map - all things one needs to know when being on the go in the fells, mountains and forests. 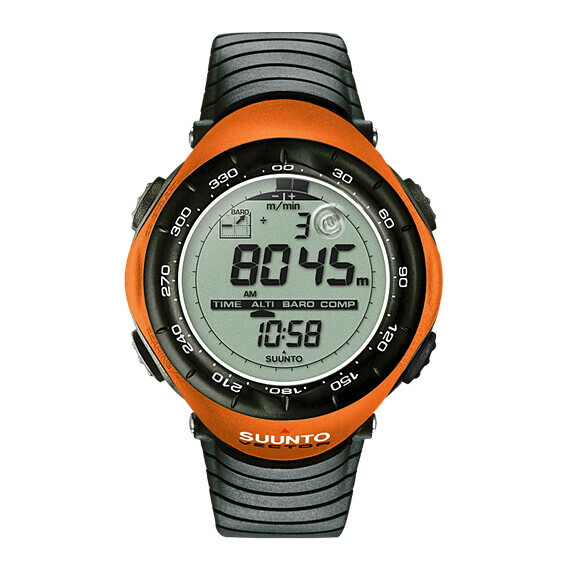 The Suunto Vector is the watch which tells all of the above, and it’s track-record speaks for it. It’s been on countless expeditions, trekking trips and overnighters, and with it’s host of functions - besides the altimeter, barometer & compass it has an altitude log, a weather trend indicator and shows the vertical speed (that’s why Ueli Steck uses a Suunto clock!) you got a lot of tech on your wrist, where you can easily see it. Oh, and it’s light, too: Just 54 g. I’m sure you’d like it too, Santa - with it you always can find your way back home in a snow storm!